In May 2018 at the inaugural Fluidity Summit, we announced our commitment to bringing real world assets online through tokenization. We’re ready to execute on that vision as a technology partner to financial institutions in the New York real estate market. The ability to store and transfer value in a token has already had profound implications on capital formation and its adoption will only continue to grow with time. In the near term, applying this technology to new asset classes can bring immediate benefits. Tokenization is the ability to represent an asset in digital form, which allows for instant and trusted transfer of that asset. 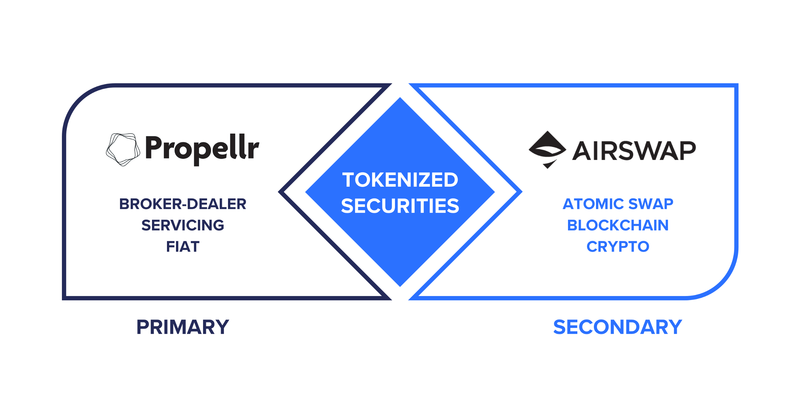 With programmable compliance, simplified counterparty discovery, and no need to re-paper transactions, tokenization has the potential to increase liquidity dramatically. Our focus will begin by tokenizing private securities in the New York real estate market. Ultimately, we hope to reduce the time to complete secondary market transactions of private securities from months to days, with the actual execution, clearing, and settlement taking place in a matter of minutes. With a non-custodial, no order book model, our technology is far better positioned for the private securities market than alternatives that take custody, use order book matching engines, and wrongly assume that private securities will trade with the same frequency as publicly traded securities or cryptocurrencies. To bring this vision to life, we sought out a partner that is flexible, ambitious, has expertise in the real estate industry, and has access to deals. We found a powerful match in Propellr. Propellr has aided in the capitalization of more than $1.5bn in real estate transactions through its FINRA registered broker-dealer. CEO Todd Lippiatt, a Wall Street vet with over 20 years of experience, has placed hundreds of millions in deals with his team. Representing both equity and debt instruments as tokens is the natural evolution in real estate structured finance to better assist with capital formation, easy transfer, and arbitrage-free equilibrium. Our knowledge of Ethereum and the ability to adapt the technology we have built with AirSwap will prove to be a powerful combination for the real estate capital formation and structured finance experts at Propellr. Subject to compliance with all applicable securities laws, we will adapt AirSwap technology so FINRA-registered broker-dealers can provide their customers a secondary market for real estate assets (or any other tokenized securities) using our peer-to-peer trading network. Peer-to-peer value transfer is the correct design for allowing private securities to transfer because of the many restrictions present when assuming custody and matching orders on a non-discretionary basis on behalf of clients. We believe the technology behind AirSwap will support both security tokens and utility tokens and look forward to continuing to bridge the gap between institutional finance and the blockchain community.